The Wilkes-Barre/Scranton Penguins had just been eliminated from the 2018 Calder Cup Playoffs. Understandably, the mood in the locker room could be best described as “not great”. As the players stewed in the still-fresh sting of an abrupt postseason exit, the coaching staff reminded them that they still had a lot to be proud of from the year, but to capture the moment and use this disappointment to motivate them moving forward. Eventually, the players got up, took off their gear for one last time until next season, and the mood slowly lightened. The locker room opened to the player’s friends and families. As loved ones and close companions entered in the room, Teddy Blueger entered the gym. Less than 30 minutes after being bounced from the playoffs, Blueger was working out, the same way he had during the season. Never mind the fact that there were no games for him to play on the horizon, he was going to give 100 percent in the weight room. That kind of work ethic has been on display ever since Blueger arrived in Wilkes-Barre/Scranton on an amateur tryout in 2016. Two full seasons later, his hard work has paid off visibly with his play on the ice, and probably has him in a position where he’s ready for the NHL. 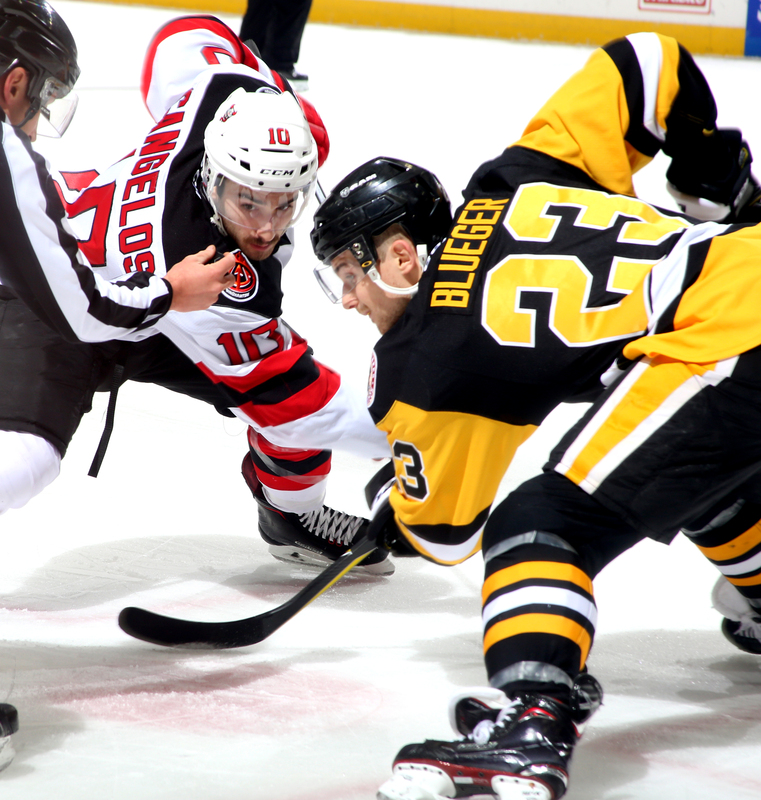 Blueger received his first NHL call-up during this past season, but he didn’t see any game action. Even though he never got in the line-up, Blueger emanates confidence when it the subject of playing for Pittsburgh comes up. The Latvian forward’s sentiments are shared by his head coach, Clark Donatelli. Donatelli has overseen just about all of Blueger’s development in Wilkes-Barre/Scranton, and he believes there’s not much more for him to prove at the AHL level. Statistically, Blueger is coming off of a shining season of professional hockey. Twenty-one goals placed second on the team, and 45 points crushed his previous career-high. He became a fun minor storyline throughout the year due to his overtime prowess, leading the league with four overtime game-winning goals. However, the Shattuck St. Mary’s product’s impact stretches vastly beyond his offensive output. Blueger is revered by his teammates and coaches for his stout defensive play where he was always the first over the boards for the penalty kill or challenged with important D-zone face-offs. His defensive dominance remained intact this season, so really, the improved offensive numbers were the icing on the cake. 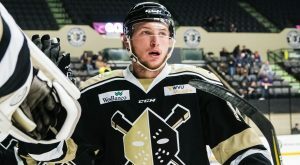 He hasn’t gotten his NHL moment yet, but Blueger says he’s been encouraged by seeing some of his Wilkes-Barre/Scranton teammates lock down positions in Pittsburgh during his first two years in the organization. He specifically cited the ascents of Dominik Simon and Zach Aston-Reese this season as examples of Pittsburgh trusting the developmental process in the AHL and then rewarding players with NHL spots if their results warrant it. Simon and Aston-Reese look like they’re in the Steel City to stay, and maybe Blueger will join them soon. Free agency plus Penguins general manager Jim Rutherford’s offseason wheeling and dealing could alter the complexion of Pittsburgh’s roster. That means there could be an open spot ripe for the picking.